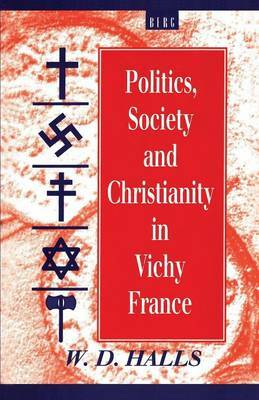 This is the first work in English or French to deal comprehensively with the attitudes and activities of Christians, both Catholic and Protestant, in France during the Vichy regime and under the German yoke. The author shows how Christians reacted to Marshal Petain and the Laval government, as well as to the Allies, the Germans, the Resistance and the Vatican. The trauma of the treatment of the Jews, which eventually acted upon the Church as a catalyst, is assessed in detail since it represented a turning-point in Christian attitudes. This rigorous examination of one of history's darkest periods provides a wealth of new material on matters hotly debated at the Liberation including: - the Vichy regime's slide into near-fascism; - the persecution of the Jews; - the attempted regimentation of youth and trade unions; - resistance to, or collaboration with, the enemy; and- the paramountcy of conscience for Christians.